Dr. Provo’s passion for basketball started in her teens, but getting to play didn’t come easy. In junior high Dr. Provo tried out for the girls’ basketball team but did not make the cut. Undaunted she volunteered to be the water/towel girl and spent that year watching and learning. The following year she was on the team and continued to play throughout high school, university and continues to play today with her kids! Her love for the game has instilled a passion in her son Gabe, who now plays on the MEI Boys Basketball team! Holding season tickets for years for the UFV Cascades, Dr. Provo and her family can be seen often seated court-side cheering on both the women’s and men’s basketball teams. 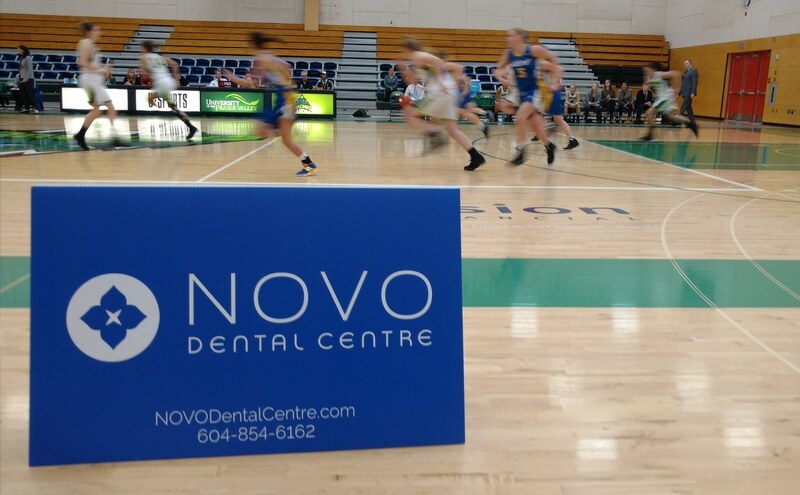 When an opportunity arose to become a sponsor for our local university, UFV’s Varsity basketball teams, it was this longstanding affection for the sport that without any hesitation Dr. Provo signed up. Now was the perfect time for her dental team to come out to support her favorite basketball team. 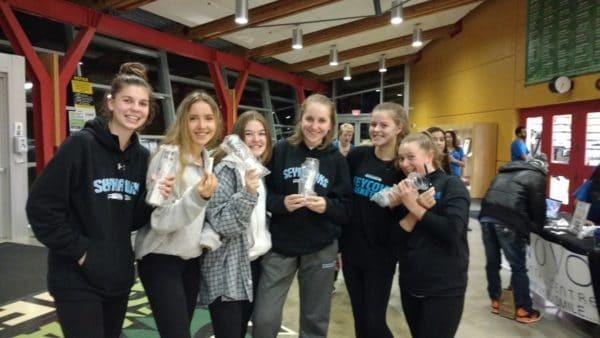 Outfitted in NOVO blue t-shirts, the entire team came out to spend an evening meeting the athletes and fans when the UFV Cascades took on the women’s and men’s team from UBC Okanagan at the Envision Athletic Centre. How do you randomly walk up to strangers to introduce yourself……you invite them to participate in a rousing game of “Tooth Toss”! And give away awesome prizes!! Dr. Nada and Dr. Provo were the unbiased judges of course!! 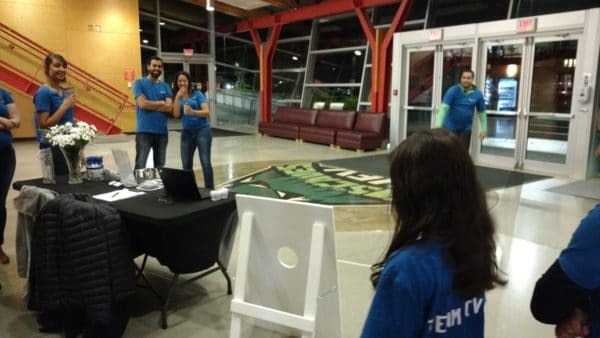 The evening was so much fun that Team NOVO returned the next night to challenge the visiting fans and players again – next time we will definitely need to bring more prizes as those basketball players really know how to toss a tooth!!! 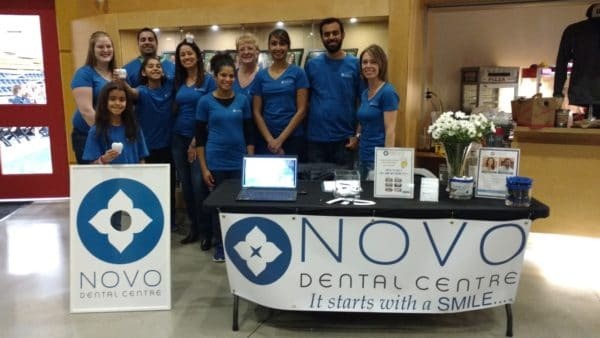 Along with the “Tooth Toss” game, Team NOVO provided information on the services we offer, from general to cosmetic dentistry, implants and now even dentures with our new resident denturist, Ajay Vig. Open 6 days a week, we are able to offer hours that work for any demanding schedule.